Desert sand is slowly taking over Somalia. Just six years after the last major drought emergency, the rains have failed again -- a devastating trend in a country where around 80 percent of people make their living on the land. Special correspondent Jane Ferguson and videographer Alessandro Pavone report on how climate change is threatening a way of life that has sustained Somalia for millennia. But first: The African nation of Somalia has long had a forbidding climate, searing heat and dry desert conditions. Now relentless droughts have stripped millions of rural herders of their animals, their only real wealth, and driven humans closer to the scarce water supplies. It is a living example of the effects of climate change. From Puntland in Northeastern Somalia, special correspondent Jane Ferguson and videographer Alessandro Pavone report. It's part of our weekly look at the Leading Edge of science. Dry, dusty, parched. Desert sand is slowly taking over Somalia, devastating the lands. In this situation, it has been empty for three years. This is the channels that the water flows. So water should be flowing along here when it rains? Yes, it has two or three water channels. And then it becomes full or half-full, depending on the quantity of rain. Ahmed Alishire runs the regional government's ministry of livestock. He showed us how people here in the Puntland area used to store precious rainwater, in the days before the rains stopped coming. How long have water tanks like these been empty? In this location, it has been empty for three years. A crippling drought in Somalia shows no sign of easing. And it keeps happening. Just six years after the last major drought emergency, the rains have failed again. Temperatures have risen in East Africa over the last three decades, and a report by the U.K.-based charity Oxfam says there is growing evidence climate change is making drought more frequent and more severe. This has always been an unforgiving and harsh environment for people, yet they have survived here for thousands of years by living as nomads, herding their animals to the best grazing places. Around 80 percent of Somalis make their living on the land. Without enough rainwater, that way of life is fast becoming impossible. This part of the country is really famous for its livestock. As far as the eye can see, you would normally see camels, goats and sheep. Now, however, it's completely desolate. And that is not normal. Mahmoud Ali once had 500 sheep and goats. Now only 100 remain after most of them withered and died in the last two years. If the rest of them die, what will you do? (Through interpreter) The only things we own are these sheep and goats. We don't have anything else, no farms or businesses in the town, and if the rest of these animals die in the drought, we will only survive by God's will. The NewsHour traveled deep into rural areas of Somalia worst-hit by the drought. On our journey, we spotted this 20-year-old camel herder, also named Mahmoud. Tired and hungry, he was driving his animals to find water in a village nearby. He told us he had already lost a quarter of them. For many, it is much worse. In a remote spot, we met with nomads who have lost 80 percent of their camels, goats and sheep. Without animals to herd, they have settled in makeshift tents. Their leader, Moussa Ahmed Farrah, said, in his 85 years, he's never seen shifting weather patterns this unforgiving. (Through interpreter) Definitely there is a change. We used to count on the rainy season and the dry seasons. Now it's not normal. It has changed. We hear on the radios that in the West and in industrialized countries, there is a lot of pollution in the atmosphere. Those pollutants are greenhouse gases that trap heat close to the Earth's surface, raising global temperatures. What would you say to the leaders of countries that are the main pollutants to the environment, the main causes for climate change? (Through interpreter) I don't know how my voice would reach those people, but I would say to them you should manage your life and economy in a better way. With their animals dying off, families like these are close to giving up. Do you think there is going to come a point where all of the people will have to leave to go to the cities? (Through interpreter) Yes, it's happening now. People are gradually going to the towns and cities. If this drought continues, that will continue to happen, people leaving the nomadic lifestyle and going to the towns. 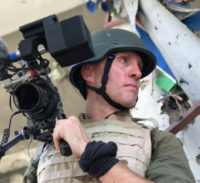 Michael Keating heads up the United Nations mission in Somalia. Basically, people are leaving the countryside. Does that mean parts of the countryside are not uninhabitable, but certainly uninhabited? I think a bit of both actually. I mean, the doomsters would say they are becoming uninhabitable, many of them, because you just can't sustain your livestock on them, and you can't sustain your way of life. Most of those who leave for the cities end up in ramshackle camps like this one in the capital, Mogadishu, a winding collection of tents and sheds, filled with families who once roamed as nomads, herding their goats, camels and sheep. Makke Mahmoud arrived from the countryside two months ago. She once had 100 goats. Now these precious few are all that remain of her herd. One of them gave birth just moments before we arrived, but she has nothing to feed the mother. With the drought comes conflict. In a country awash with guns and very little security, some animal herders carry weapons, and fight over precious fertile land. (Through interpreter) We farmers and the herders used to live amongst each other, but when the drought became severe, the herders invaded our farms and made it into grassland. There was fighting and the herders burned our houses, so we left and came here. Haleem Saeed used to feed her family from the vegetables she grew on her small plot of land in Central Somalia. Now she washes clothes in the camp to make a little money, but mostly relies on handouts. In the last year alone, over a million Somalis have been forced from their homes because of the drought. Climate change, says Keating, means many people in the camps will never be able to go back to their old lives. A way of life that sustained communities in this part of Africa for thousands of years is no longer working. This is a global phenomenon that is hitting the Horn of Africa particularly badly. I think it's going to mean that the number of people who are able to sustain themselves through nomadic pastoralism is going to be reduced. I mean, some notion that everybody is going to go back to what they were doing before I don't think is the case. I think, you know, Somalia is already one of the most rapidly urbanizing countries in the world. That will continue. I think what we need to do is kind of plan for bigger urban centers. Leaving the traditional way of life is no easy decision. Nomadic animal-herding is not simply how people here make money. It's who they are. As the weather changes, they will have no choice but to change too. 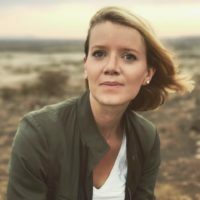 For the PBS NewsHour, I'm Jane Ferguson in Mogadishu, Somalia. Alessandro Pavone is a freelance videographer and producer.